"Matt went above and beyond in helping us sell our house! He was honest, knowledgeable, decisive, and sought our best interests through the entire process. I give him the highest praise for knowing the market and ensuring a smooth sale." "Matt was an outstanding realtor! He was very knowledgeable and always available when we needed him. He was very professional and I believe he got us the best deal possible on the sale and purchase of our homes. He was a pleasure to work with and I would highly recommend him if you are looking to buy or sell a home." "Matt was able to do the near impossible. We knew it would be hard to find a house in Trussville that we wanted in our budget. Matt made sure that we were the first to view the house and first to put an offer on the house. Right after we put an offer down 6 more people put an offer on the house. What I like best is that he is a man of integrity and someone you can trust." "We had a great experience working with Matt! Communication and follow up was priceless! My wife and I give Matt 5 stars! Thank you Matt for making selling our house easy!" "We were very happy with Matt. He is very knowledgeable and did a great job marketing our house. He was always available when we needed him. He has a great outgoing personality and very easy to talk to. 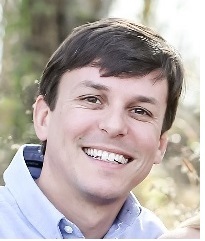 We highly recommend Matt for your housing needs"
"Matt Harbison did an outstanding job selling my house in Pinson. I highly recommend him." "House buying is stressful and a huge family decision, so having someone representing you as professional and excellent as Matt Harbison is a game changer. We highly recommend him for any of your real estate transactions. He treated us like family and we appreciate that very much." "Matt is an awesome realtor! He have used him to sell several of our homes and they have always been enjoyable experiences." "We would highly recommend Matt to anyone looking to buy or sell a home. We had been looking for a special home for our special needs. He was always courteous and willing to show us any house that we thought might fit our unique circumstances. Thanks to his help we found the perfect home that met every need plus some." "Matt was wonderful throughout the whole process. I had a lot going on personally, and he made accommodations for every issue that came up. He made selling my home a breeze. I would recommend him to anyone wanting to buy or sell a home."